Pavan Limbachiya will be particiapating in 12th South Asian Universities Youth Festival during 22-26 Feb 2019. Based upon the screening that happened on 23rd January 2018 at GIC Surat for SSIP Startup, out of 48 startups that presented; 7 initiatives have been selected to receive the SSIP support, of which three are from our institute. The NPTEL and IIT Ropar organized course titled, "Joy of Computing Using Python", total 33320 participants were enrolled, among them, 4039 have cleared the certification exam. I secured 94%. Among the certified candidates 815 are having Gold medal. I am one of them. I am among TOP 6% of the certified candidates. There was a editing competition of lectures and practice programs was arranged by the organizing team of THE JOY OF COMPUTING USING PYTHON - AN INITIATIVE BY IIT ROPAR and NPTEL. Throughout India, more than 2500 participants are participating in it. Deadline of the same was 30th September, 2018. In that Dr. Ami Tusharkant Choksi is the first winner. 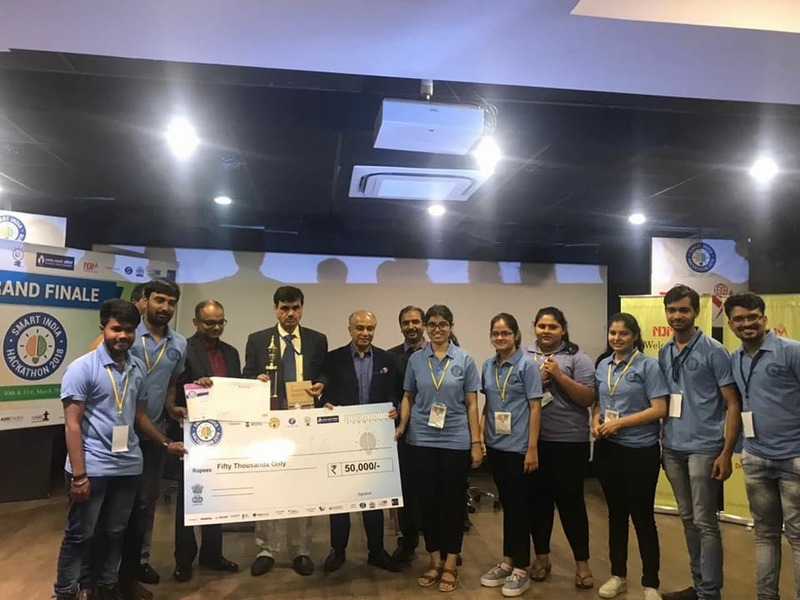 Students of Computer Department has Became Second Runners Up in Smart India Hackathon 2018 under the mentor-ship of Mr. Chirag Desai and Mr. Soham Pandya. 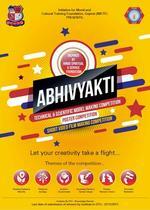 Winners of Short Film of Theme Sustain Environment in 'Abhivyakti'- Technical and Scientific Model Making Competition. 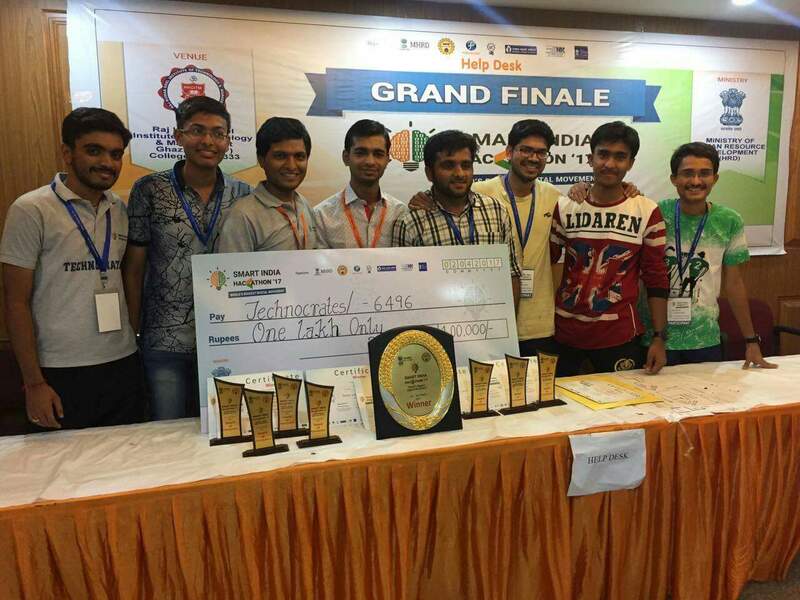 In its institutionalising "Late Shri Dewang Mehta IT Awards 2017" for the engineering students of Gujarat, the Project "OCEANROID" submitted by Computer Engineering Department has shortlisted. 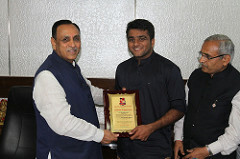 Fine Arts Club student, Pavan Limbachiya is awarded in 3rd GTU Award Function. Shri Vijaybhai Rupani, Hon Chief Minister of Gujarat felicitated Innovators & successful start-ups and promised full support to young innovators of Gujarat. Meet Shah of Computer Engg. was also appreciated for winning at Smart India Hackathon while solving challenges given by HRD Ministry. 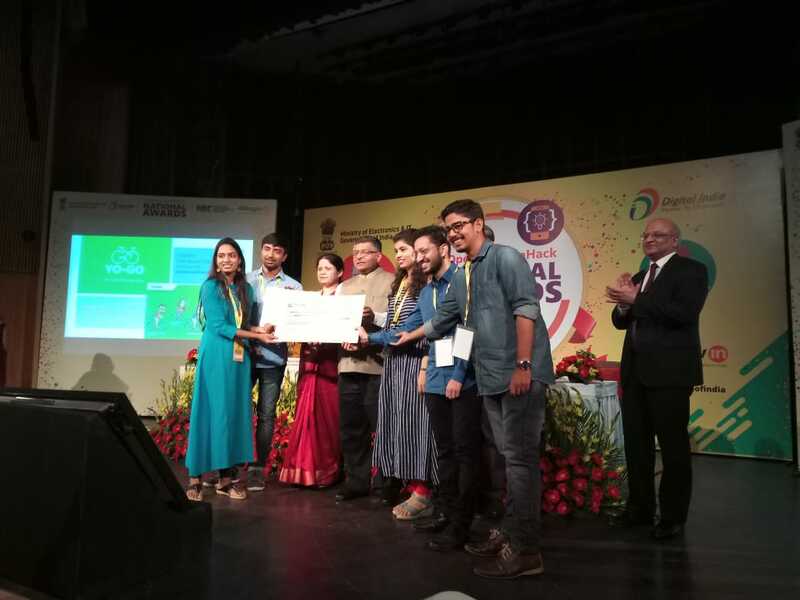 It is a proud moment for we CKPCETians that our students have become 1st runners up in SMART INDIA HACKATHON-17 in Ministry of Commerce and Industries. 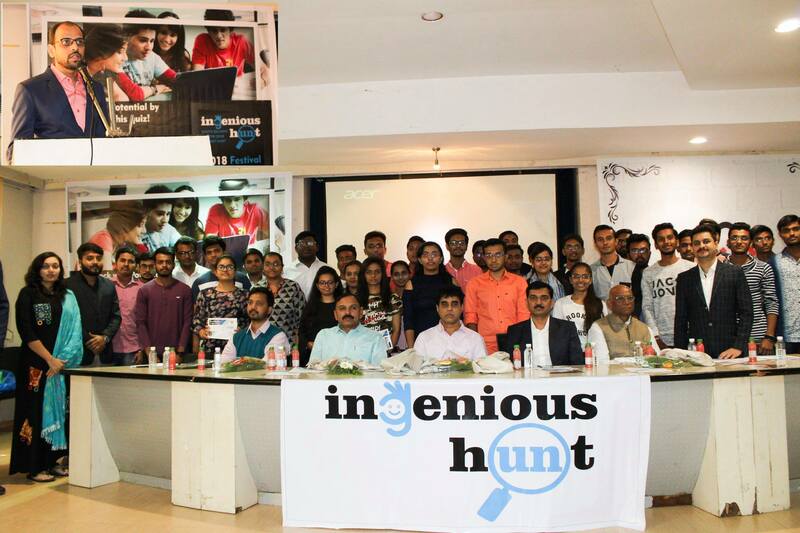 Special thanks to Prof. Yogesh Kapuriya for being mentor as well as project guide for both of our teams. It is a proud moment for we CKPCETians that our students have become winners in SMART INDIA HACKATHON-17 in Ministry of HRD. It is a proud moment for we CKPCETians that our students have become winners and got First Price for "Affordable Housing" and Second Runners Up for "Smart City" in IEI poster presentation competition-2016. 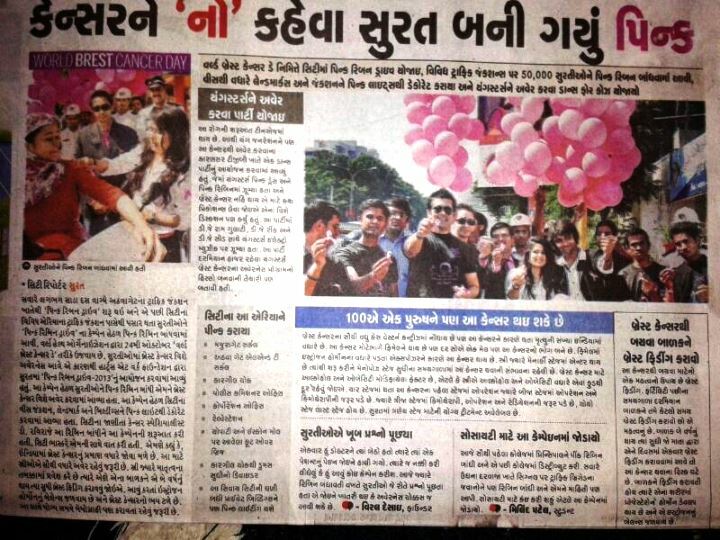 The competition wherein, the posters from all over Gujarat were invited. C.K.Pithawala College of Engineering Became Zonal Champion in GTU YouthFest-2015 in Southzone-5. 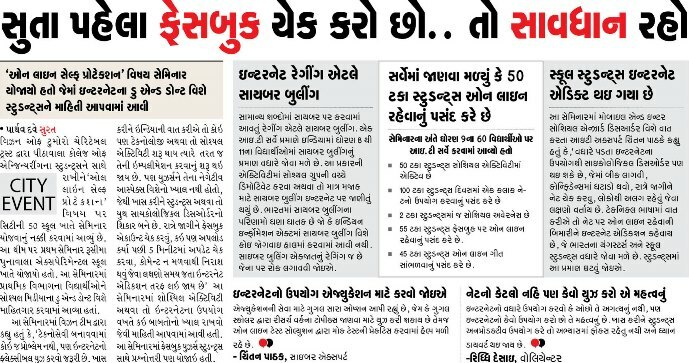 Surat Raktdan Kendra awarded our institute for Second Highest Blood donation. Total 417 Blood Units were collected by two Blood Donation Camp during 2015. 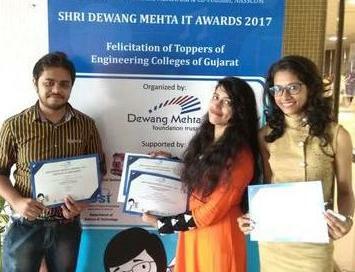 In its fourth year of institutionalizing "Late Shri Dewang Mehta IT Awards 2015" for the engineering students of Gujarat, the project submitted by Computer Engineering Department has won 1st Price. Heartiest Congratulations to our students who participated with Project "Gesture Controlled Humanoid Hand" in Texas Instruments Innovation Challenge "INDIA DESIGN CONTEST - 2015". After scrutiny from national level they were selected for Quarter final one month back. And now they are getting selected for Semi Final Round. Total 85 teams were selected from India. 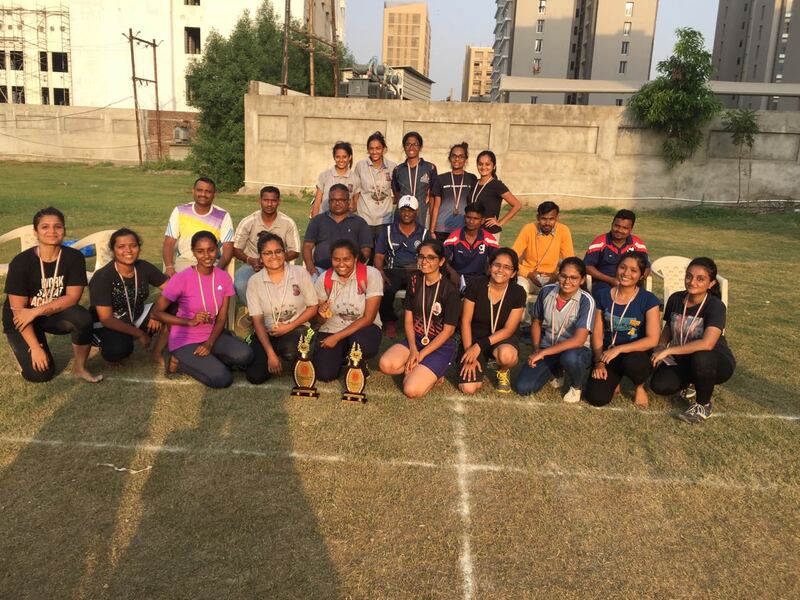 Out of them only 5 teams were selected from Gujarat (3 teams from SVNIT, 1 From Nirma University and 1 From CKPCET, Surat). We Congratulate our students for their wonderful performance and achieving First prize in the Events, "Sing Off" (Group Singing) and "Elocution". "Late Shri Dewang Mehta IT Awards 2012" for the engineering students of Gujarat, the Project : "Mirror - A Linux based Operating System" submitted by Computer Engineering Department was short listed among Top Ten for final jury Round. We congratulate our students of final year Computer Engineering for their good work. They delivered a seminar titled "Online self protection" at Experimental school. A news article was published in the Times of India, Ahemadabad. for Students valuable work of the Project "Ensure Rider's Safety". Project: Electronic Support System for Physically Disabled (Deaf & Dumb), had won GYTI award for year 2013. We are heartily congratulating our final year students for taking active participation in breast cancer awareness campaign. As part of their CPDP field work project, all of them had shown their keen interest in this campaign and even distributed pink ribbons among computer faculties and students too. 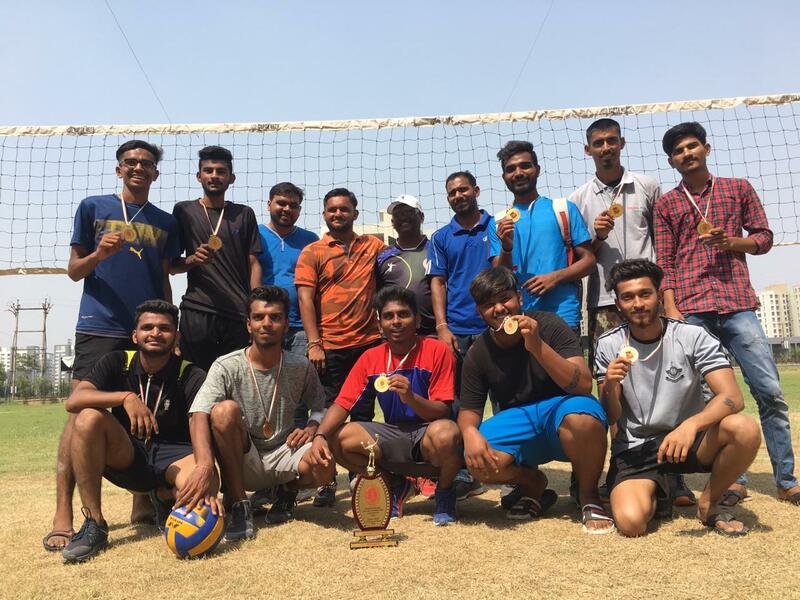 Student of B.E IV (Batch-2012-13) won First prize in team championship for South-zone Badminton competition, Silver medal in GTU tennis competition (Individual) since last two years and Participated in South All India Inter university at Kakinada, Hyderabad. In its first year of institutionalising "Late Shri Dewang Mehta IT Awards 2012" for the engineering students of Gujarat, the Project : Facial Recognition Attendance System, submitted by Computer Engineering Department under the mentor-ship of Compaqt Infocomm Industry, was short listed among Top Ten for final jury Round. 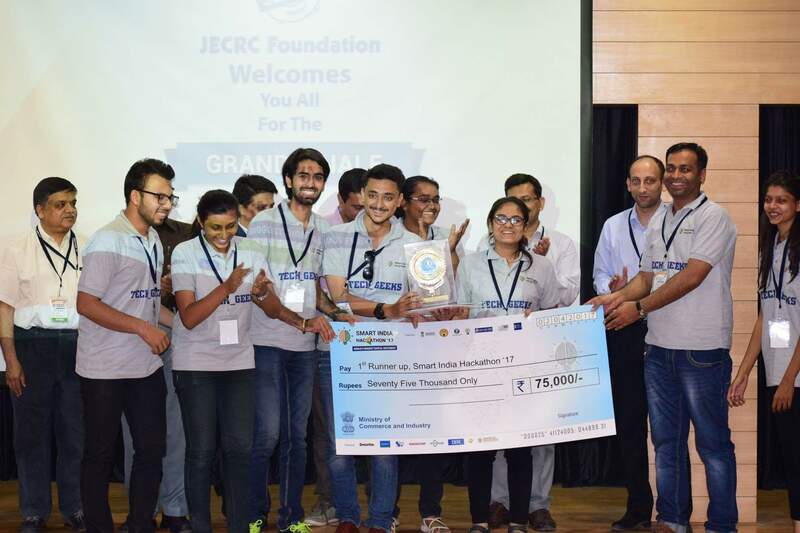 The following students of electrical department have won the third prize on their Project : "Generator Differential Protection" at competition held at ESSAR, Hazira. Congratulation to the following B.E. 4th year ( VIII semester) Student’s Project group for their a Project "Utility and Entertainment Applications". A news article was published under the name "Wise Eyes" in the "Sambhav Metro" news paper.